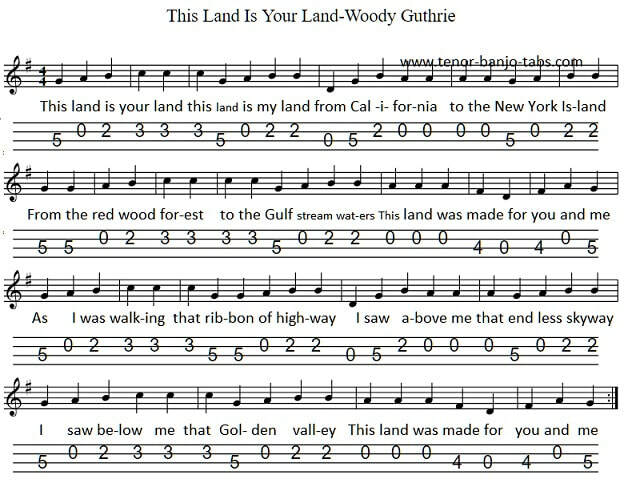 The words and music for this American folk song were written by singer / songwriter Woody Guthrie. The tenor banjo / mandolin sheet music tab is in G Major. Included are the easy to play letter notes for the song. I've also added a picture showing what piano / keyboard notes should be played, for this version. Don't be put off at the amount of notes to remember as the chorus uses the very same notes as the verses.